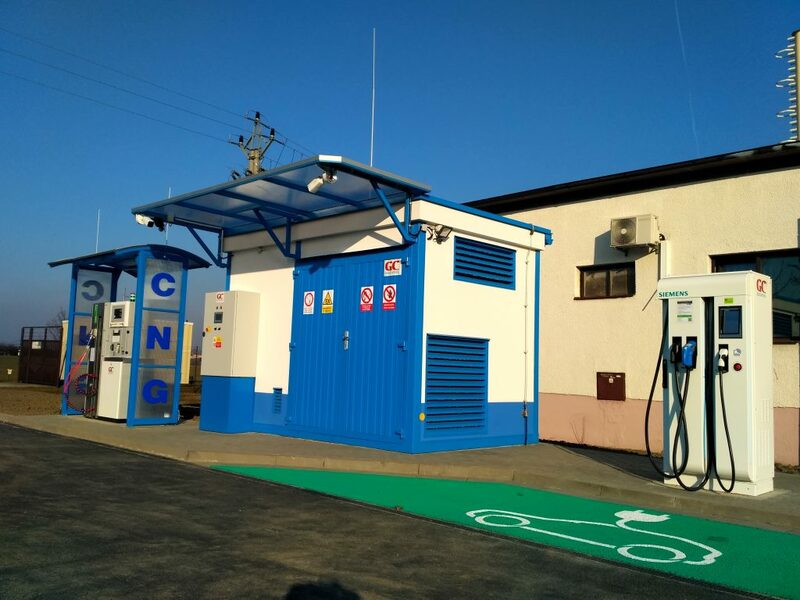 CNG filling station in a unique combination with a fast charging station for electric vehicles. It is equipped with state-of-the-art technologies that allows 24/7 crew-free operation of the station. 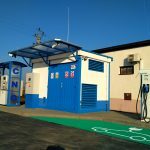 CNG filling station is equipped with one top J.A. 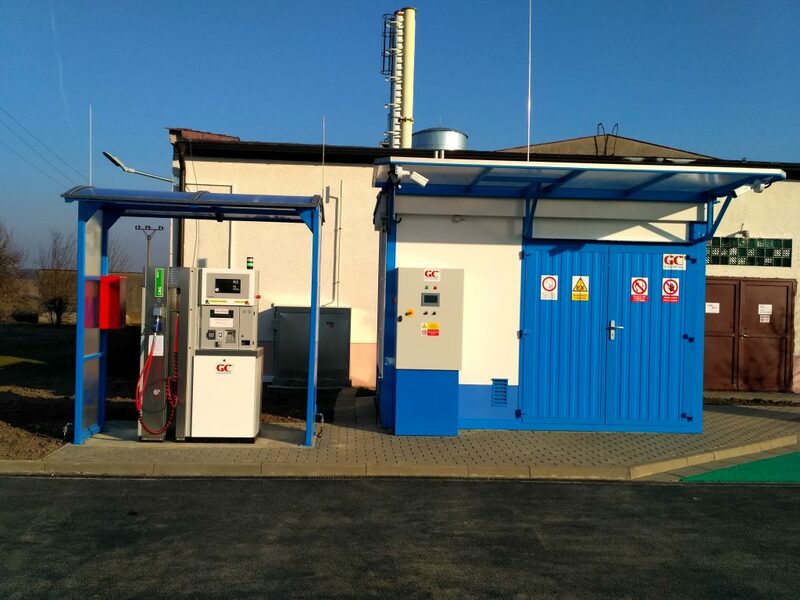 Becker & Söhne compressor for compressing natural gas, which operates at an input overpressure of 0.3 bar and has an output of 84 Nm3 / h. The storage tank, ensuring fast and trouble-free filling of vehicles, has a water volume of 1,680 l and is divided into two pressure sections. 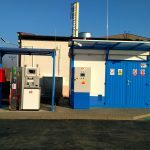 The dispenser is equipped with a bank terminal for payment by so-called CNG cards, fleet cards and regular bank or credit cards. The operation is monitored remotely and the entire area is under surveillance. 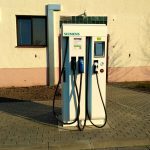 The Siemens Triberium fast charging station has a total output of 50 kW. 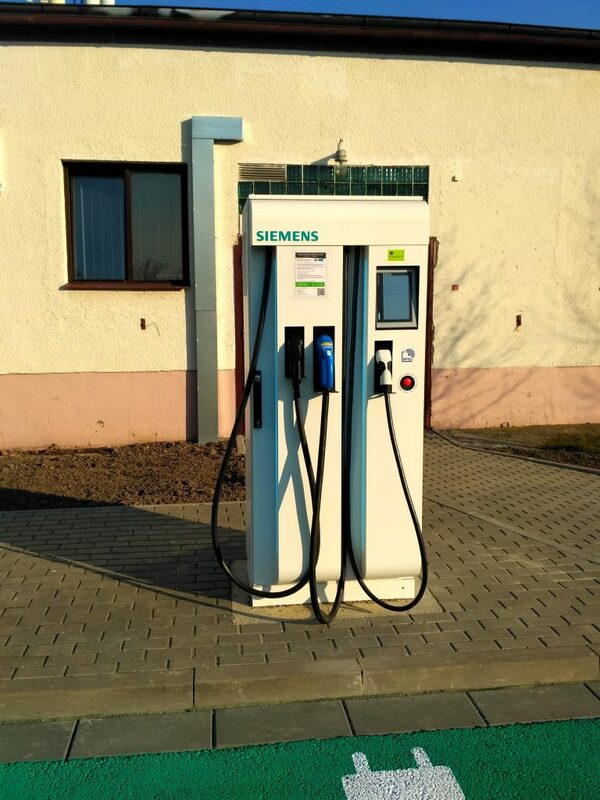 The charging station provides commonly used connectors for charging electric vehicles.